Turkey's foreign minister says his country has not shared any audio recordings from Jamal Khashoggi's disappearance with U.S. officials, while the state-run Anadolu news agency said Turkish prosecutors are questioning Saudi Consulate employees over the missing Saudi journalist. "It is out of the question for Turkey to give [U.S. Secretary of State Mike] Pompeo or any other U.S. official any audio recording," Mevlut Cavusoglu told reporters during a visit to Tirana, Albania. Pompeo, who visited Saudi Arabia and Turkey this week, told reporters on a plane to Mexico that he's neither seen nor heard such a recording. Citing an anonymous senior Turkish official, ABC News reported on Thursday that Pompeo heard the alleged recording during meetings in Turkey and received a transcript of it. "Of course, as a result of the investigation so far, Turkey does have some information and evidence," Cavusoglu said. "We will share them with the world when they become fully clear because the whole world, understandably, wants to know what happened to Khashoggi and how it happened." Turkey's A Haber TV said as many as 15 employees were being questioned on Friday. The station said they included the consul's driver, technicians, accountants and telephone operators. 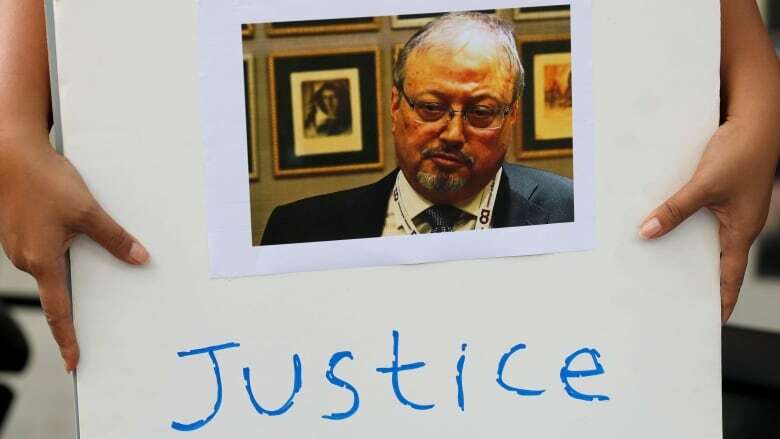 A report on Wednesday by the pro-government newspaper Yeni Safak, citing what it described as an audio recording of Khashoggi's slaying, alleges a Saudi team accosted the 60-year-old journalist after he entered the consulate, cutting off his fingers and later decapitating him. Turkish reports say Khashoggi was killed by members of an assassination squad with ties to Saudi Crown Prince Mohammed bin Salman. The Saudis have dismissed those reports as baseless, but have yet to explain what happened to Khashoggi, a Washington Post columnist who wrote critically of Prince Mohammed's rise to power. A Turkish official said Friday that investigators are looking into the possibility that Khashoggi's remains may have been taken to a forest on the outskirts of Istanbul or to another city — if and after he was killed inside the consulate earlier this month. The official, speaking on condition of anonymity due to the secrecy of the ongoing investigation, told The Associated Press that police have established that two vehicles belonging to the consulate left the building on Oct. 2 — the day Khashoggi had walked in and vanished. One of the vehicles travelled to the nearby Belgrade Forest while the other travelled to the city of Yalova, across the Sea of Marmara from Istanbul, the official said. It was not immediately clear if police had already searched the areas. President Donald Trump, who first came out hard on the Saudis over the disappearance but has since backed off, said Thursday it "certainly looks" as though Khashoggi is dead, and that the consequences for the Saudis "will have to be very severe" if they are found to have killed him. Saudi Arabia has not responded to repeated requests for comment from The Associated Press over recent days over Khashoggi's disappearance. On Friday, Turkey's pro-government Sabah newspaper printed more surveillance camera photographs allegedly showing members of a Saudi team brought in to Turkey to dispose of Khashoggi. A leaked surveillance photo published by the same paper on Thursday showed that a member of Prince Mohammed's entourage during several trips abroad had walked into the Saudi Consulate just before the writer disappeared. The man, identified by Turkish officials as Maher Abdulaziz Mutreb, has been photographed in the background of Prince Mohammed's trips to the United States, France and Spain this year. 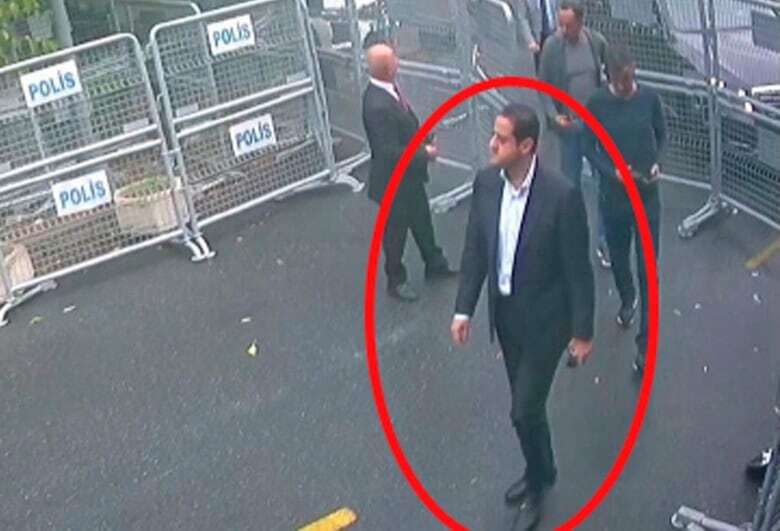 This week, Turkish crime-scene investigators searched the Saudi consul general's residence in Istanbul and carried out a second search of the consulate itself. Authorities have not said specifically what they found, although technicians carried out bags and boxes from the consul general's home. He left Turkey on Tuesday. On Friday, a former head of Britain's MI6 overseas intelligence agency said Khashoggi was probably killed on the orders of people close to Prince Mohammed. John Sawers, who headed MI6 between 2009 and 2014, said "all the evidence points to it being ordered and carried out" by people close to Saudi Arabia's de facto ruler. Sawers told the BBC, "I don't think he would have done this if he hadn't thought he had licence from the U.S. administration to frankly behave as he wished to do so." Sawers said the fate of Khashoggi was a wake-up call to the Trump administration about "just how dangerous it is to have people acting with a sense that they have impunity in their relationship with United States." The kingdom had hoped to use the event, which is set to be held in Riyadh over three days starting Tuesday, to boost its global image. Several top business executives have also cancelled plans to attend, as has the head of the International Monetary Fund (IMF), Christine Lagarde. On Friday, Pakistan's Foreign Ministry said Prime Minister Imran Khan would travel to Saudi Arabia next week to attend the conference. It said Khan would also meet King Salman. Khan has been trying to secure bailout loans from IMF to avoid an economic meltdown and is also seeking loans from Riyadh.